Simplicity and minimal parts count make this transmitter an excellent choice. New parts are still available and fairly inexpensive. A well stocked junk box could provide most if not all the parts. 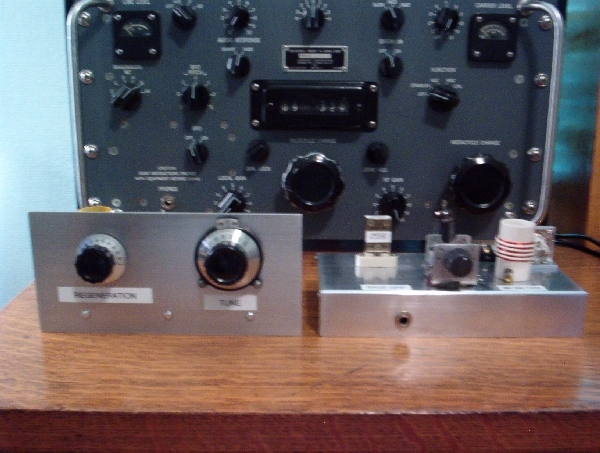 Pictured above in the foreground is the One Tube Receiver on the left and the 6AQ5 Transmitter on the right. I think the two make a very nice matched pair. Power output is from 2 to 7 watts depending on your power supply. Maximum plate voltage for the 6AQ5 is 275 volts. Higher voltages will shorten tube life. 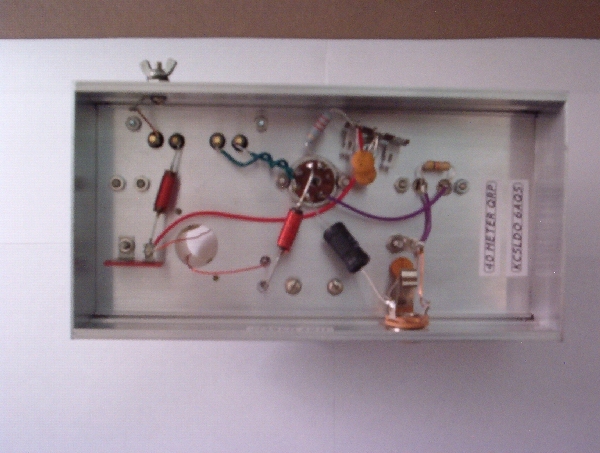 My transmitter produces a nice clean tone with 4 watts output using plate voltage of 245 VDC. Tube emission will also effect output. Dangerous voltages are present in this transmitter and could prove LETHAL. If you are not familiar with high voltages in tube equipment, please seek qualified help. Tune up is very easy with only one variable capacitor to adjust. Use a wattmeter or tune for maximum signal strength and best tone on your receiver. I built mine on a 4 X 6 inch chassis with room to spare. A 4 X 4 inch chassis could be used. 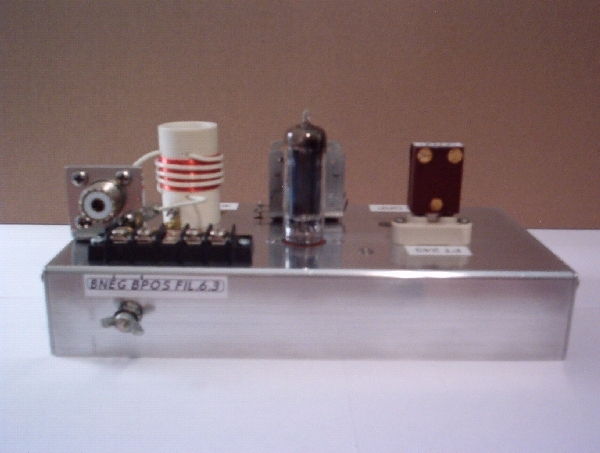 A variable capacitor from a junked broadcast set was used. The coil form is PVC pipe with an outer diameter of 1 1/8 inch. With the exception of resistors and capacitors, all parts are from the junk box. 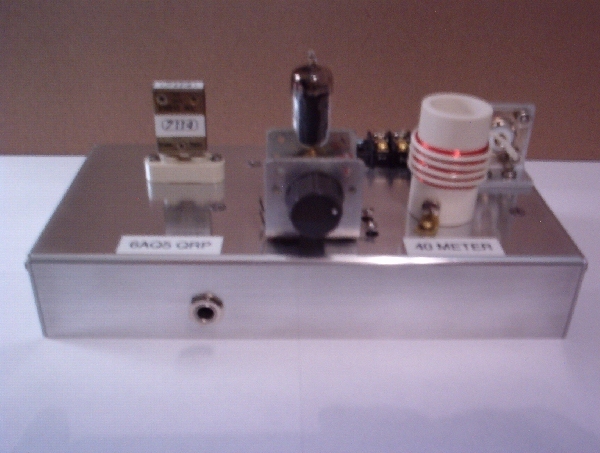 The 6AQ5 makes a great QRP CW transmitter that is fun to build as well as to use.